Are you a robot? No? Great! Do you own a computer or a smartphone? Yes. Wonderful! Could you use some extra money? Absolutely! Woo-hoo! It sounds to me like you are a great candidate for having a side gig. Who couldn’t use a little extra money here and there? Whether you are strapped for cash, and need just a little extra cash to get you through the week, or are simply looking to expand your savings account, captcha entry online jobs may be just what you are looking for. Have you ever tried creating an account online, only to have to type a series of random letters and numbers, or identify objects in various pictures, before moving on? Nearly everyone who has ever used the internet has had to do this at least once, if not numerous times. This task is simply a way of proving that you are not a robot, trying to create a fake account. It is called Captcha. Captcha jobs have been created, so that people like you can earn a little extra money, while companies that use your services are able to save on time, by not having to enter the captchas themselves. As with any job, it is important to know what kind of requirements are necessary, before you even decide to hop on board. One of the great things about captcha entry online jobs is the fact that you likely already have all that you need. First of all, you need some sort of device to do the work on. Usually, it requires a computer of some sort, whether it be a laptop, or a desktop. Some sites will even allow you to solve captchas using your cell phone! Second, you need an internet connection. Not just any old internet connection though. It must be a high speed internet connection. Many sites will ban users for a number of reasons, and one of them is being a poor connection. If your internet connection is too slow, it’s likely that you may struggle to get the captchas done in a timely manner. That’s really about all that you need, other than where to find work, which you can find further down. Captcha entry online jobs are jobs that nearly anyone can do. 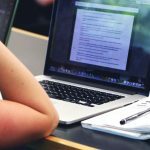 If you are fast and have nearly perfect typing skills here are some great websites to you should take a look at. These are great gigs to help you earn a few extra bucks. Registering to perform captcha entry tasks for QlinkGroup is easy. Simply input your personal information, as well as how you wish to be paid. After you have completed your registration you will be asked to take a quick entry test, to see if you are qualified to solve captchas quickly, and accurately. If you pass, you can then begin your captcha entry. For every 1,000 captchas solved you can expect to be paid around $.60. Payouts are done once a week. During your registration, you would have designated your payment to be either through PayPal, Perfect Money, Bitcoin or Litecoin. An important fact to mention is that speed is often a factor in your quality of work. QlinkGroup is one of the many sites that has consequences for failing to solve your captchas within a certain amount of time. QlinkGroup will give you 15 seconds per each captcha. If you do not get them solved within that time frame your account will then get suspended. The first time is only a temporary suspension, however, after that, it can become a permanent suspension! Freelancer is a website in which a variety of work from home jobs can be found. Writing, data entry, virtual assistant jobs, tutoring, and marketing are some, but definitely not all, of the many job opportunities that are available. You must first sign up for an account, and then you will proceed to select your area of expertise. From there you will be able to search for jobs pertaining to the skills that you entered while signing up. Unfortunately, payments can vary per job, as this will be freelance work. However, once you have earned at least $30, you can then cash out your money. This can be done through Payoneer, International Wire Transfer, PayPal, and Skill. As you register with CaptchaTypers you will be creating your admin id, which is where you will input your payment details. This includes keeping track of what you have earned, as well as requesting payments. Once your admin id is created, you then must download CaptchaTyper’s very own software. Failure to use their software can result in your admin id being terminated. The final step is to create another id, your worker id, in order to begin solving captchas. While the registration process is a little more confusing than most, this site has one of the higher earning potentials. Minimum pay is about $.70 per 1,000 captchas, though supposedly you can earn up to $1.20 per 1,000 solutions. Once you have earned $2, you can cash out at any point afterward, though some of their payment methods require you to wait until you have earned at least $5. CaptchaClub is another site that allows you to do the easy work of online captcha entry. As with all captcha entry sites, you must first register before you can begin. Payments can be withdrawn through Payoneer, PayPal, and Payza, on the first of each month. PixProfit is a great captcha entry site to check out when they are accepting registrants, which, unfortunately, isn’t always. One of the nice things about this website is that it allows you to earn commissions off of referrals. So if you have some friends that are looking to earn some extra bucks, just like you, sign up, and then give them your referral code. You can earn a 10% commission per each referral! 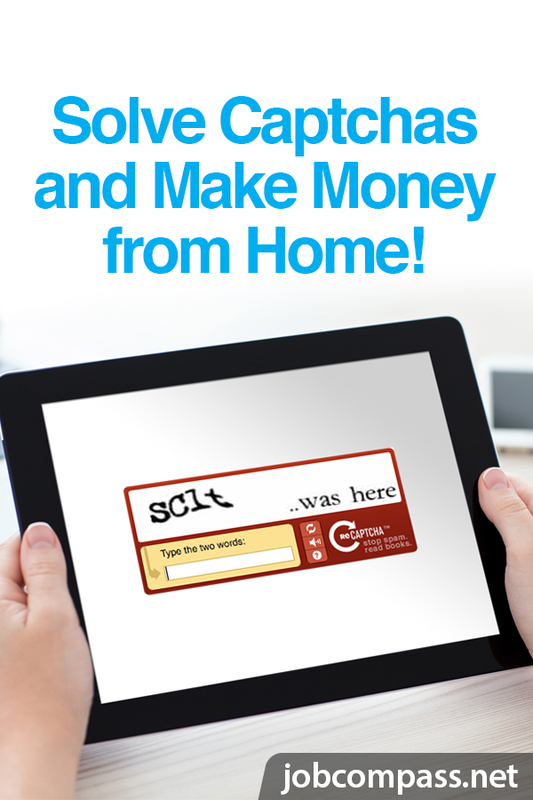 One thousand solved captchas can earn you anywhere from $.60-$1.50. Payments can be accepted through PayPal, WebMoney, Perfect Money, and Libertyreserve, but you must first have an earnings of $3. 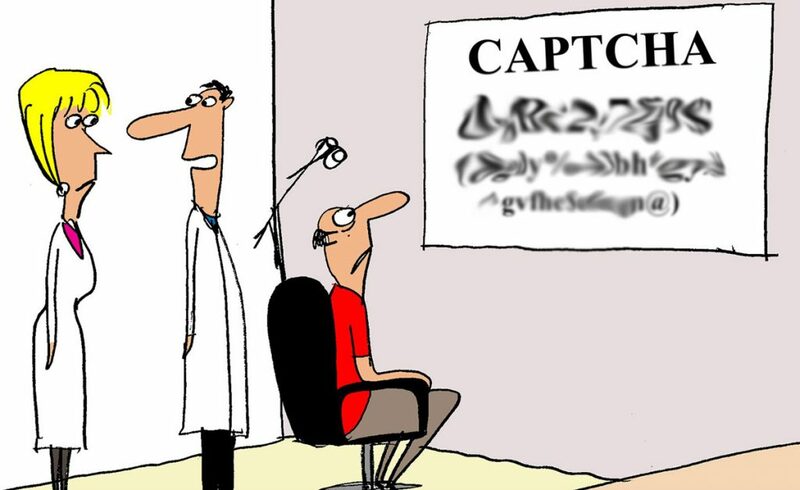 There are numerous different sites out there that are devoted to online captcha entry. While many people think this job is a scam, there are many real sites that will, in fact, pay you to solve captchas. The following sites are safe, legitimate captcha solving sites. Virtual Bee is now a part of the ever so popular, work from home website, Lionbridge Smart Crowd. Lionbridge does more than just captcha entry. They have a number of different work from home job opportunities, like transcription and content editing, among so many other jobs. When you sign up with Lionbridge you will first take an evaluation. It will help determine what your skills are before you can begin to work. Accuracy and typing speed are certainly something that is taken into consideration. Once you are accepted you will be able to work as many hours as you desire, during the times that are most convenient for you. Whether you are a night owl, and enjoy burning the midnight oil, or prefer waking up at the crack of dawn, you will be sure to find plenty of work, no matter what time of day it is. As a keyer, for Lionbridge, you can expect to earn about $.30-$.60 cents per 1,000 keystrokes. The more precise, and speedy your work is, the better you will be paid. Note, that you must create a Dwolla account, in order to receive your payment. With your Dwolla account you will get paid once month. You can even request a debit card through Dwolla, which will make it even easier to access your funds, as soon as they become available. ProTypers, sometimes known as MegaTypers, is a widely known captcha entry website. As with all captcha jobs, accuracy is a must, however, ProTypers won’t play games with you. This means that they strive for their solvers to be the most accurate that are out there. With this website, in particular, you will only have up to 15 seconds to solve each captcha, correctly. You will get kicked out if you enter them wrong, too many times. Though you will be able to sign back in, to solve more, you can continue getting kicked out, if you keep making errors. Once you have gotten kicked out about eight or nine times, within 24 hours, you may want to call it quits for the day. Getting kicked out 10 times within 24 hours is grounds for instant removal. You will then be banned from solving captcha on MegaTypers. Pay rates for ProTypers ranges anywhere from about $.40 per 1,000 captcha, to $1.25 for every 1,000 solutions. Payment options include PayPal, bank check, WebMoney, debit cards, Payza, Bitcoin, Perfect Money, and even Western Union. Kolotibablo is a well-known captcha entry site, worldwide! Once you sign up, you will likely start out earning on the lower end, about $.35 per every 1,000 captcha solved. However, the more accurate you are, the more earning potential you will have. The site ranks their captcha solvers in different levels. The highest level of solvers can expect to earn about $1 for 1,000 captchas. If you prefer to use Paypal, you must have a minimum of $5 in your account before you can pay out, otherwise, once you have $1 in your account, you can then cash out at any point. Other forms of payment include AdvCash, Bitcoins, Litecoins, Payza, and Yandex Money. 2Captcha is a very reliable captcha entry site.It is a favorite among many. My favorite thing about 2Captcha is that they allow you to do work from an android phone. This means that if you have a pretty busy life, and are frequently waiting on appointments, or the kiddos to get out of class, you can easily earn money in your downtime. You may not always have your laptop handy, but your cell phone is another story. After you register you will then be taken through a training course that takes anywhere from 5 to 10 minutes, pending on how speedy you are. Pass the course to be well on your way to solving captchas for money. Pay rates are a little on the lower side, as low as $.20-$.80 per 1,000 captchas solved. However you will receive a referral link after signing up, and for each friend you refer, you will earn 10% commission on their earnings. So the more friends you refer, the more potential you have to earn extra money! 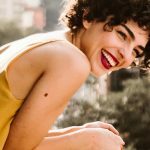 Payouts can be withdrawn with as little as $.50, when you withdraw through WebMoney, coinbase.com, and uphold.com. If you choose to cash out with Bitcoin or Payza you must have a minimum of $1. You can also cash out through AdvCash and Perfect Money, but not until you have earned $1.20-$1.30. Do you want to work as an independent Captcha worker? I have the perfect website to get you started! Upwork is a place where millions of freelance jobs exist, even online Captcha Jobs. Finding Captcha entry jobs isn’t always easy, but with the help of Upwork, you can find independent 1099 jobs! Upwork has been around for several years. Go ahead and make a new profile and from there, you can start earning money very quickly! As you can see, there are quite a few legitimate online captcha entry jobs out there. It is a great job for those who are looking to occupy some extra time they have and make money doing so. The best part about it all is that you don’t even have to leave your home to solve captchas. While performing these jobs is certainly no way to earn a living, it is definitely a way to earn a little bit of extra cash here and there.